Select the day from calendar. Data sharing with your family. Because data can be synchronized, everyone can share the situation of the house. Notification with iPhone / Android notification function. It can prevent to forget to buy from Info screen with reminder function. 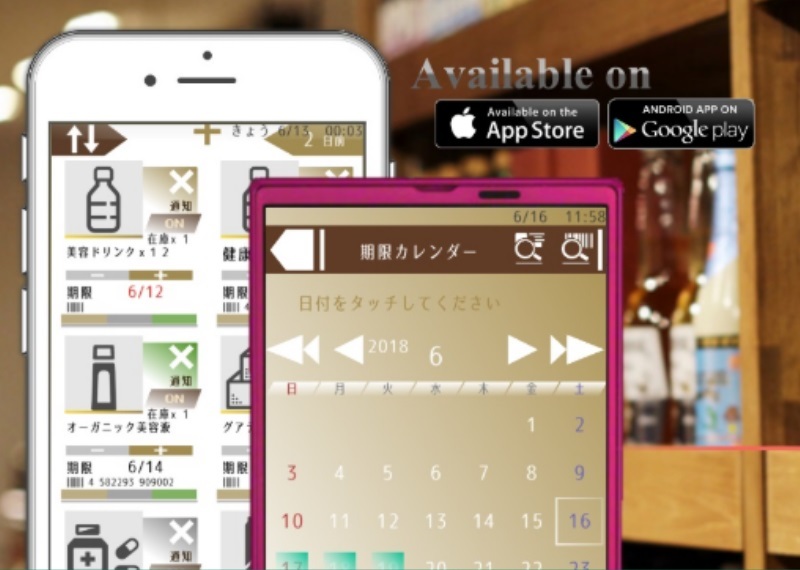 It is a smartphone application for both iPhone and Android. It has calendar, category classification, notification, camera shooting, data sharing function and so on. You can manage the time limit of stored food, rental items, coupons, etc. in your home. Also, you can register the remaining number and check stock. You can transfer data other device. It can including inter iPhone to Android too, so you don't have to re-register your items each time you buy a new device. Please install it to your iPhone / iPad or Android from the button below. Let's introduce the distinctive features that the Item keeper has. You select due date from calendar, and then register only with item name or image. You can change the number of items by tapping the button from the item list! It is easy to manage because items can be put for each place and classification. Items in the near due date or out of stock can confirm collectively on the info screen. There is also a re-notification function a message when you move a place or come specified time. You can share your app's data by linking your account to your family and friends. Everyone can share your input information in real time, and your family's conversation become maybe more enjoy! Since you can read barcodes and QR codes from the app and register them, you can search and check smartly even if there are many items. "Item Keeper" has fellow apps that has derived functionality based on the user's request. 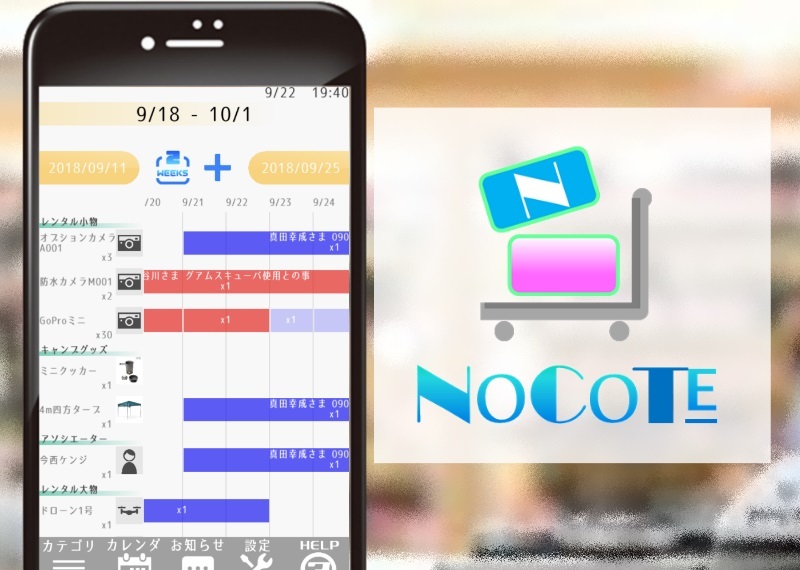 NOCOTE is an application for lending management and sharing service management created for individuals and small stores. If you have a smartphone like iPhone or Android, you can use it immediately. "Item Keeper" for business that enables management of a large number of items. When you use this for your work, and can use "Item Keeper" with private use. Please feel free to contact us for application bug reports and improvement suggestions.